A Tibet tour package to the "rooftop of the world" steals your breath away, quite literally with a 12,000-foot capital city at Lhasa. Surrounding the peacefulness of the Dalai Lama's palace is the Bakhor market where shoppers bargain for colorful carpets and prayer wheels. In Tsedang, the 1200-year-old Samye monastery mimics the design of the ideal universe described in Buddhist scripture. 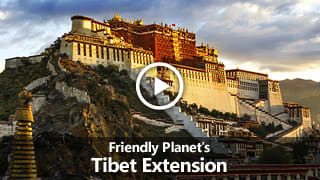 A discount tour to Tibet with Friendly Planet is like nothing else you'll ever experience! Already booked on one of our packages to Tibet? See everything you need to know before you go. In addition to the entry requirements for China, all visitors to Tibet must also obtain a Tibet Travel Permit issued by the Tibet Tourism Bureau (TTB). Together with our local partners, we will obtain the Tibet Travel Permit for our travelers and deliver the permit to you while in destination. 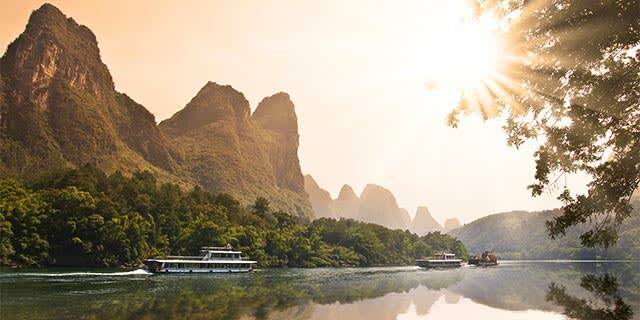 See the China National Tourist Office website for more information. Booked on one of our packages with Scheduled Dates? After you have booked and successfully received your China visa, please send a scanned colored copy of the following to documents@friendlyplanet.com so that we may process your Tibet permit: 1) photo and signature pages of passport; 2) China visa; 3) 2" x 2" passport-size photo. Please list your occupation on the passport copy. According to the Center for Disease Control, there are no requirements for travel to Tibet. Some travelers may need to manage altitude sickness with various medications. Pack sunscreen as Ultraviolet rays get much stronger with increased altitude. Tibet is situated on a high altitude plateau surrounded by tall mountains. These mountains catch the rainfall before it reaches the plateau, making most of Tibet a desert steppe, tundra or permafrost. Tibet has large temperature differentials between the day and night and for six months out of the year, it experiences frost. It is not customary to tip taxi drivers and restaurant staff in Tibet, but tipping is expected for a variety of other services in Tibet and is a great way to give back to the community. Tour guides, drivers, hotel staff and porters expect to be tipped; this is especially true if they have worked very hard to provide tourists with the best service possible. Many Tibetans use their income to support not just their immediate family, but often their extended family as well. ATMs are not widely available. Credit cards can only be used at some hotels in Tibet. The best shopping is often at public markets. Shop for Tibetan hats, jewelry (silver and gold), wooden items, clothing, quilts, fabrics, Tibetan rugs and carpets. 220 volts. Plugs A, C & I. You will need a voltage converter and plug adapter in order to use U.S. appliances. We recommend getting a universal adapter and converter kit before your tour to China. View more information about electrical standards around the world.